Europe remains the epicentre of river cruising, but you probably don’t realise just how many of its rivers feature cruises. 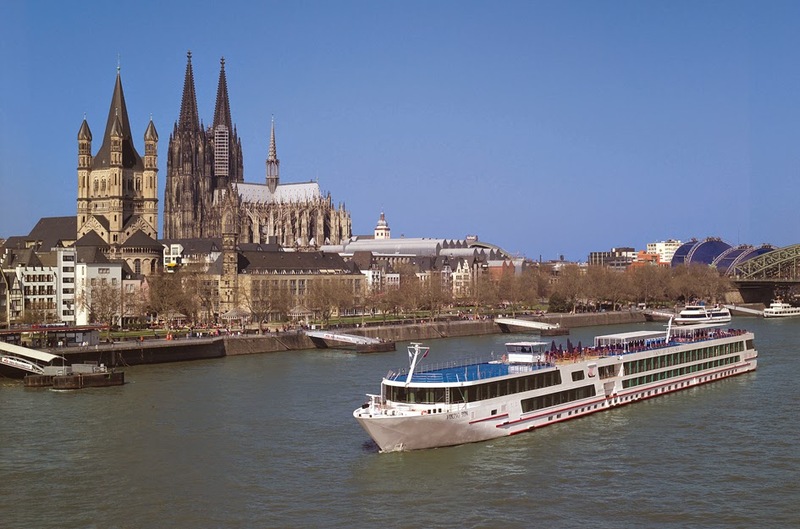 A cruise ship on the Rhine River at Cologne, Germany. The bread-and-butter of many cruise companies is of course the perennially popular, history-soaked Rhine River. Vineyards and castle-topped hills along the Rhine gorges are the highlight of an otherwise flat, industrialised landscape. Some ships ply the Amsterdam-Basel route that takes in the whole navigable river and scenic Black Forest, but many veer off at Mainz on the longer Amsterdam-Budapest haul. The Main River joins the Rhine at Mainz and is linked by canal to the Danube. It’s an intimate little river: golden weathervanes glint on church spires, herons flap and you can almost pluck washing from passing gardens. An eye-popping baroque palace in Würzburg, medieval villages and a side trip to Heidelberg are among shore excursions. Some companies offer Main-Moselle cruises, generally part of an overland journey from Paris to Prague. The pretty Moselle River is notable for its vineyards and meander into Luxembourg. Ships cruise between Trier and Koblenz, where the Moselle is swallowed up by the Rhine. 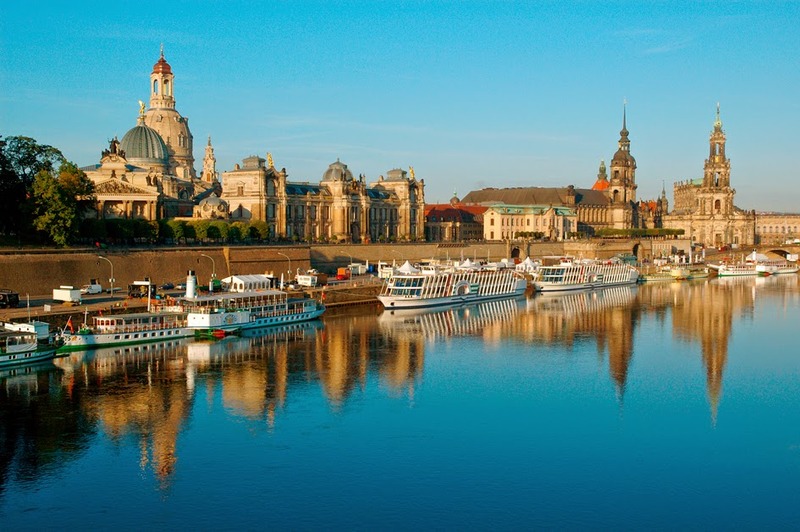 Cruise ships at Dresden on the Elbe River, Germany. It’s a shame more Australians aren’t familiar with the Elbe River, which flows through the Czech Republic and Germany. Only one major cruise company (vikingrivercruises.com.au) sails there. The Elbe is highly scenic as it hits the Sandstone Mountains (nicknamed the ‘Saxon Switzerland’) and passes by Berlin, Meissen and Dresden. Journeys end overland in Prague, although boutique company Noble Caledonia (noble-caledonia.co.uk) sails there along the Vltava River. You can also sail the Oder River through Germany and Poland (noble-caledonia.co.uk) and the newly developing Tisza River in Hungary and Serbia (croisieurope.travel). Firmly back on the mainstream cruise route, the upper Danube River between Regensburg in Germany and Budapest rivals the Rhine as cruise central. Its once-standard itineraries are becoming more varied, with some cruises themed on beer, opera, Jewish history and children’s activities. The slightly more intrepid can sail the lower Danube through Eastern Europe from Budapest to Giurgiu near Bucharest, or sometimes on to the river’s Black Sea delta. 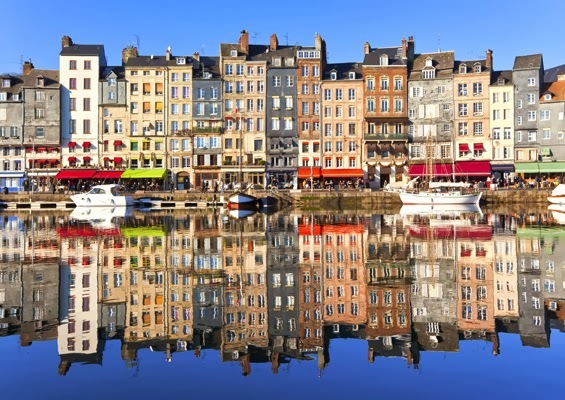 Honfleur on the Seine River in France. Meanwhile in France, the Rhône River offers journeys between Avignon and Lyon and onwards on the Saône River into Burgundy. Van Gogh landscapes, Côtes du Rhône wine and Roman ruins combine to entice gastronomes and history lovers. In contrast, Seine River cruises swaps sun-bright Provence scenery for misty, mellow Normandy hills, WWII beaches and Monet’s gardens. 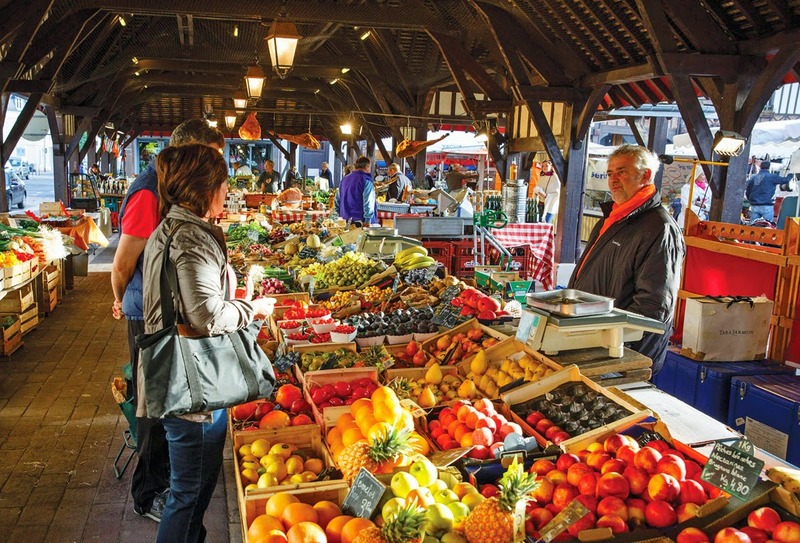 Francophiles can get a third dose in the Burgundy region, where the Dordogne River, Garonne River and Gironde Estuary combine to create a wine-hazy wander through famous-name vineyards and the city of Bordeaux, one of the best cities to be docked on any European river. 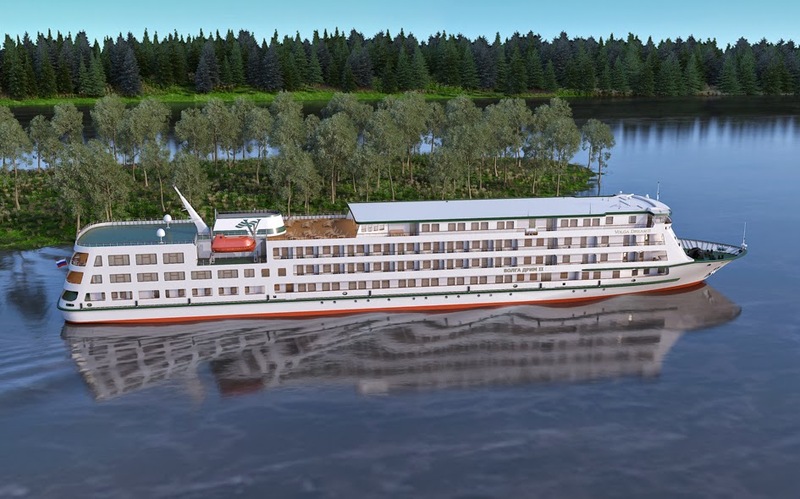 Surprisingly, the famous châteaux-cluttered Loire River in France is only getting its first river cruises next year with the launch of the Loire Princesse (croisieurope.travel) in April. 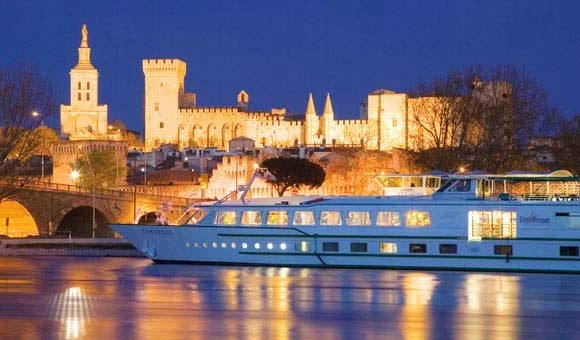 As well as the Douro River in Portugal, it’s also possible to cruise the Guadalquivir River and Guadiana River in Spain (croisieurope.travel) and the Po River in northern Italy (uniworldcruises.com.au), where Venice is one of few ports that links river and ocean cruises. 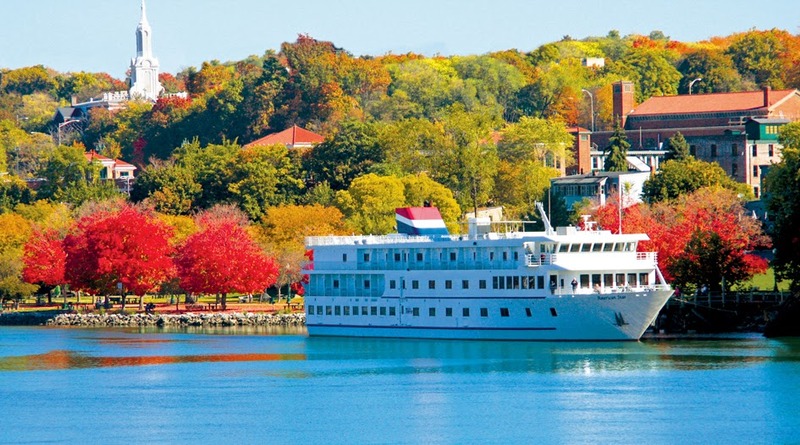 You’re on a river-cruise ship, not in a floating reform school. Captain Rivers provides some hints on how to make the most of your holiday afloat. Butler service on a Scenic Tours cruise. I’ve been on a fair number of river cruises and always marvel at the eccentricities of passengers, whose sometimes constrained behaviour prevents them from getting the most out of their holiday cruise. Here are 10 top tips to maximise your enjoyment. 1. Pack light. Unless you live in a Tokyo apartment, you’ll find cabin storage space limited. 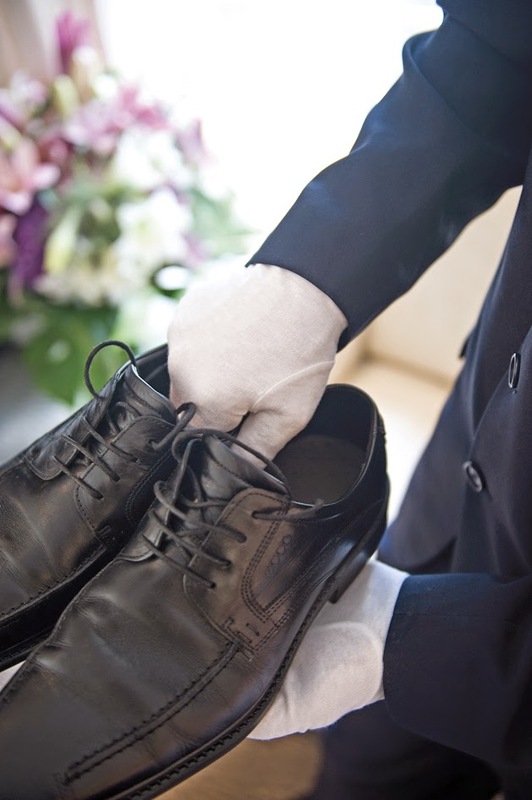 Besides, how many pairs of shoes do you really need? 2. Guess what: you don’t get sent to the naughty corner for not joining organised shore excursions. Why not take a half-day off and have your own adventure, especially when revisiting a place you’ve been before? 3. Food on board is hard to resist, but enjoy a meal ashore in a restaurant or café and soak up the local atmosphere. 4. Food on board never runs out. Plenty of passengers queue for the buffet lunch like schoolkids worried they’ll miss a treat. Take a seat, have a drink, relax. The rush only lasts 10 minutes, and nobody has ever starved on a river cruise. 5. You aren’t in prison with occasional chances at day release. You can get off the boat any time you like when it’s in port. Escape for an early-morning or post-dinner walk and you’ll be well rewarded. 6. There’s no curfew. Port towns can have a very different and rather charming atmosphere after dark, so set out after dinner to admire the illuminations or enjoy the nightlife. 7. See that lovely staff member in a uniform hunkered at a corner desk? That’s the ship’s concierge. He or she is like the Rain Man when it comes to port information, so why not ask? 8. If you like your on-board downtime, book a trip in the upstream direction. The ship travels more slowly, with more time on the river. Those eager to explore should sail downstream, as there’s generally more time in port. 9. Don’t worry if you’re a first-time cruiser. There are no demerit points for not knowing how things work. Staff is always on hand, and regular cruisers won’t hesitate to explain how things happen. 10. Don’t rush away when the cruise ends, as if your house is on fire. Destinations such as Amsterdam, Budapest and St Petersburg merit more time, and you’ll regret not booking a hotel night or two. Looks like there’s plenty happening on the rivers of Europe with Scenic Tours for 2015. Here’s a round-up of some of the things happening with the Australian-owned company. Tournon on the Rhone River, France. 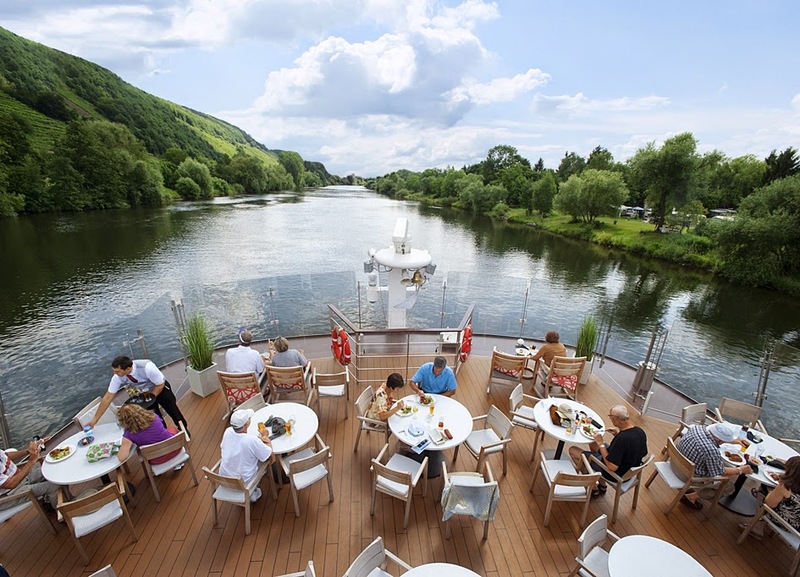 A brand new experience in 2015 for all guests on all Scenic ‘Space-Ships’ will be Scenic Sundowners, or cocktail receptions where guests can toast the day’s end and the beauty of the riverside destinations as the sun sets on some of Europe’s most majestic locations. The newest social soiree will be held on shore at a scenic location. The beauty of Austria’s Wachau Valley will be toasted from the slopes of the Danube where you’ll listen to the music of the masters and sip locally produced wine. In Koblenz, you’ll take a cable car high above the town to the 19th century Ehrenbreitstein Fortress which reveals incredible views of the Rhine and Moselle rivers. And in Belgrade, you’ll be taken to a restaurant atop the Kalemegdan Fortress, which overlooks the majestic site where the Sava River flows into the Danube River. 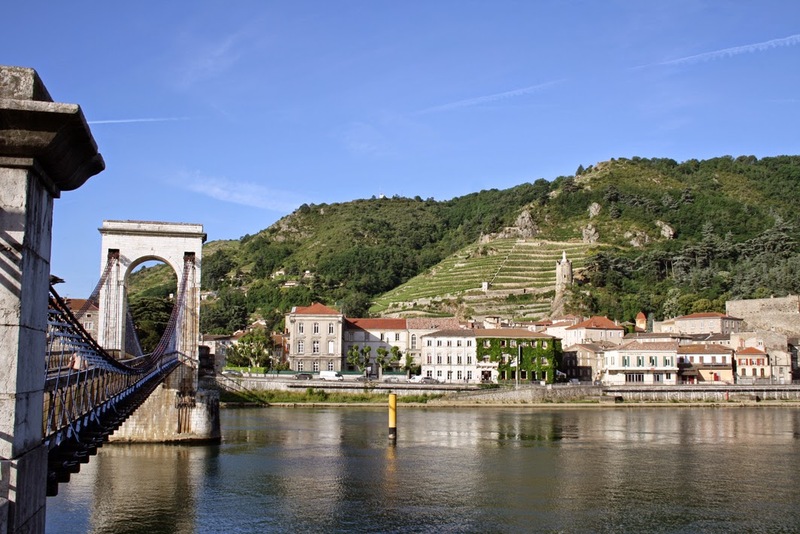 You might also enjoy a tasting of regional wines on the terrace of the historic Castle of Tournon, originally founded in the eleventh century, with spectacular views over the Rhône River and the surrounding rolling hills and vineyards. Shopping with the ships' chef in a French market. Captain Rivers reckons that’s all good – who would pass up the chance for an evening cocktail? – but he is also liking some of Scenic’s new ‘Free Choice’ activities for 2015. With ‘Shop with a Chef’ passengers can choose to join the Scenic ‘Space-Ship’ chef and a local culinary specialist on a guided tour of a gourmet food market in cities such as Vienna, Strasbourg, Begrade, Paris and Bordeaux, before returning to the ship where the culinary team will create regional dishes prepared with ingredients purchased from the market. Another new activity involves a visit to the world’s most exceptional mine. The former Zollverein coal mine is a large industrial site in Essen, near Düsseldorf. It is inscribed into the list of World Heritage Sites and is one of the anchor points of the European Route of Industrial Heritage. The first coal mine on the premises was founded in 1847 and Shaft 12, built in Bauhaus style, was opened in 1932 and is considered an architectural and technical masterpiece of the evolution and decline of an essential industry over the past 150 years. And we also like the sound of the visit to Weltenburg Abbey, a Benedictine monastery in Weltenburg near Kelheim on the Danube in Bavaria. A majestic cruise from Regensburg to the abbey, which is situated on a peninsula in the Danube, reveals the ‘Weltenburg Narrows’ (Danube Gorge), which is only available for small ships to traverse and is one of the most scenic sections of the Danube River. The abbey also has its own brewery, considered to be one of the oldest monastery breweries in the world. Viking Buri is a Longship-class vessel identical to Viking Hemdal and Viking Hermod, which also sail the Rhone. Viking first debuted its Longships in 2012 to critical acclaim for their design and technology; Buri was launched in March this year. That makes it the largest and newest ship in Europe, carrying 190 passengers and featuring a sleek, almost minimalist Scandinavian design that sensibly dispenses with fuss and amenities (such as a gym) that are seldom used. The result is glass-enclosed, light-filled, spacious public areas, with colours in muted browns and white and sophisticated lighting creating a décor that recalls contemporary boutique hotels. Viking Buri’s sundeck stretches across the entire ship, with organic herb garden, putting green and walking track, as well as abundant shaded seating against the Provençal sun. 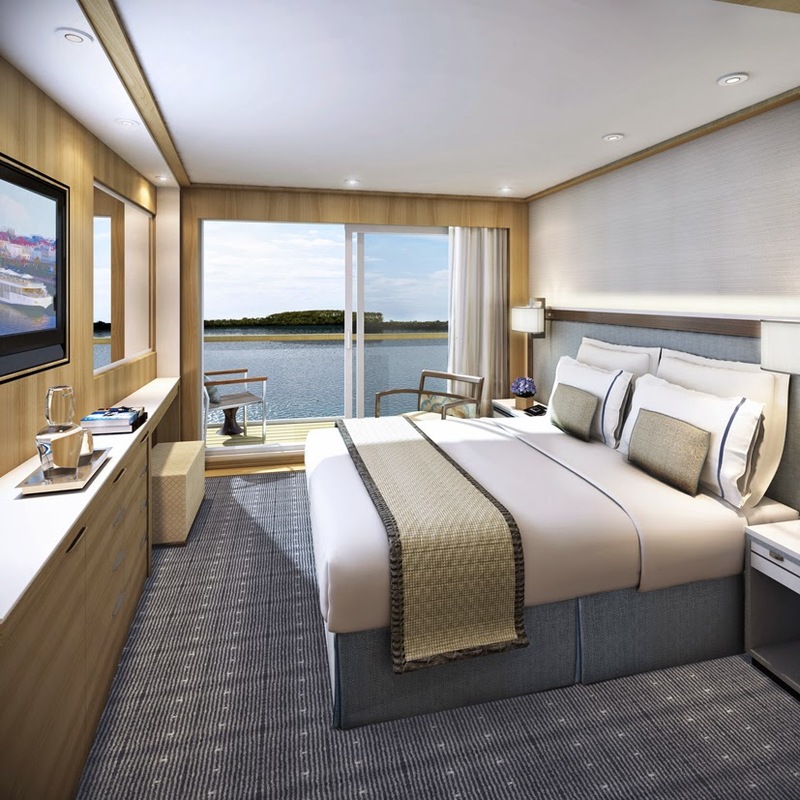 The Observation Lounge – the social hub of the ship thanks to its seating and bar – has floor-to-ceiling windows that further allow every glimpse of passing scenery. However, the library area, which occupies the back of older Viking ships, now appears as a cramped afterthought in the upstairs lobby. Informal dining space on Viking Buri. On-board entertainment reinforces Viking’s educational ethos and aims at understanding local culture. Passengers are well-travelled yet still enquiring; the mostly American retirees are increasingly being joined by British, Australians and steadily younger passengers. DINING Panoramic windows mean you won’t miss the scenery from the elegant but casual dining room, where open seating encourages mingling. Food is very fresh and high in quality but unadventurous, with only occasional forays into regional cuisine; no chance of escargots here. Three-course dinners are more formal than buffet-style breakfasts and lunch. ACCOMMODATION Standard staterooms have no room for seats and only portholes; it’s worth investing in a Veranda Stateroom if the budget stretches. Suites are the largest on Europe’s rivers. Excellent showers and heated bathroom floors are a pleasure, and overall the cabins are stylish, comfortable and immaculately maintained by hardworking stewards. Aquavit Terrace on a Viking Longdhip. 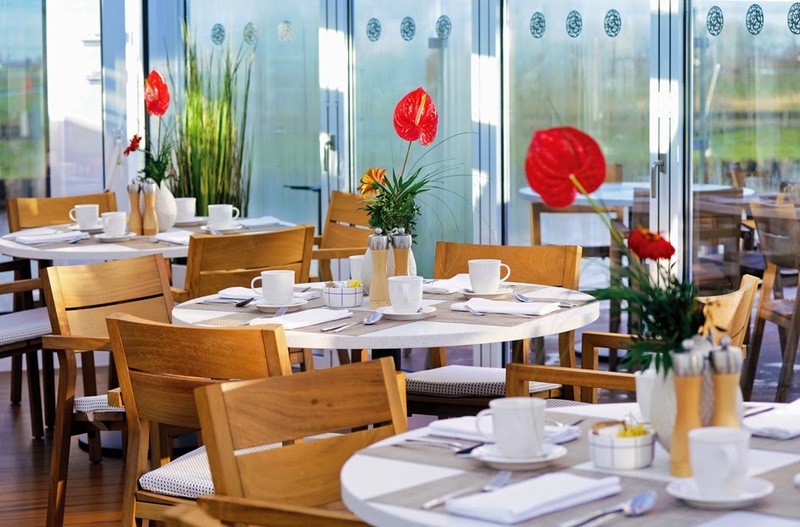 HIGHLIGHTS Aquavit Terrace at the ship’s bow is a delight, providing an indoor-outdoor space for watching the passing scenery or enjoying an al fresco meal as an alternative to more formal dining. Energy-efficient hybrid engines are surprisingly quiet and low on vibrations. Invariably friendly and enthusiastic Viking staff are, as always, a standout. Have you been on the Viking Buri or a similar Longship? We'd love to hear your comments.